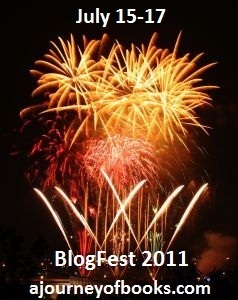 Welcome to BlogFest 2011, with over 200 giveaways in a series of linked blogs. I get dizzy just thinking about it. Here’s the master list, or just check out the next five blogs at the bottom of the post. Epic love doesn’t have to involve paranormal creatures. This singular thought inspired me to write Life, Liberty, and Pursuit. My 13 year old niece (at the time) was enamored of Twilight, and I enjoyed sharing that experience with her, but I wanted to write a story where the obstacles to love were based in real-world choices. Let me be clear: I have nothing against paranormal novels. (In fact, I wrote one.) But I wanted to show my niece that people could fall in love, quickly and completely, but still have real, tough choices to make. Because life is all about choices. And the choices make the person. In Life, Liberty, and Pursuit, college-bound Eliza and Navy-recruit David meet on a four day cruise, with no intentions of falling in love. They each had serious dreams they were pursuing, and literally fall into each other’s lives. But after fate made the decision to put them together, they had to make a choice: follow their dreams or possibly give them up for love? Sometimes a simple choice can lead to many others. The path I’m on today is the result of the many choices I’ve made in my life. If I hadn’t chosen to pursue engineering, would I have started writing novels sooner? Or would I have never written them at all, taking a completely different path that wouldn’t land me here, today, writing this blog? I wanted my niece, just entering the time of her life where choices would become profound, to think through the options that lay ahead of her. Life, Liberty, and Pursuit is about making choices in life and love. Every time my novel finds its way into the hands of a young woman facing important choices, it warms my heart. 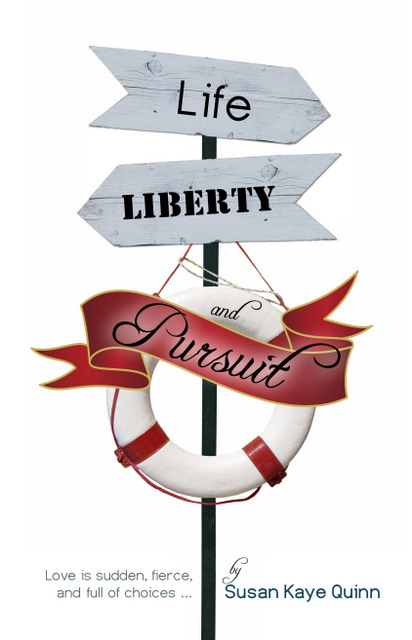 For the BlogFest, I’m giving away a copy of Life, Liberty, and Pursuit. To enter to win, just be a follower and leave a comment between now and 11:59 EST on Sunday, July 17th. Open only to the U.S. UPDATE: Now open to Canada. Winner will be announced Monday. UPDATE: Blog Hop officially closed and the winner is … Alison! Thanks everyone for stopping by! Thanks for the giveaway and if it is open Internationally, I would love to be entered. Awesome! What a great reason to write a book! 🙂 I follow. @buddyt Ack! Sorry, I forgot to put that it's only open to U.S. Thanks for the reminder; I updated the post. I didn't know that's why you wrote the story. It's amazing what inspires us. Those types of real-life decisions are difficult and common. My now-husband was going to go away to college before we started dating. He chose love over leaving, going to a nearby university instead. What if I wore a shirt with stars and stripes on it? And cut down on my maple syrup? That's practically citizenship. I agree that paranormal romances have gotten out of control. Obviously no girl is going to marry a vampire. I've been wanting to read your book — thanks for the giveaway! Great giveaway! I love the reason why you wrote this book. It's so great that you could share the story with your niece. I feel bad. I still haven't read the book. My TBR pile is crazy. But I've decided not to buy anymore books (LOL) until I've read ALL the YA books I've bought but haven't read yet. Hey Susan. The book sounds exciting. Oh Susan, What happened to free trade with Canada? I, like Bryan, am north of the 49th parallel. It's not that much more expensive to mail here is it? But – your blog, your contest, your rules – that's okay. Good luck with the contest! I'm a GFC follower (Brooke). Thanks so much! Thanks for a great giveaway! I am a GFC follower. Thanks Susan, I appreciate it very much. Would love to read your book. Thanks for opening it up to Canada! Please enter me in the draw! So true — both hubby and I made some life-changing choices. Thanks for participating in BlogFest. Aww yay! Thanks so much for opening the giveaway to Canadians! 🙂 Very awesome of you! It always amazes me just how much having a little one in your life can inspire and delight you! Great blog! Your book sounds amazing . I would love to read it. Thank you for the wonderful giveaway, your book sounds really interesting. I would love to read it. Awe, you opened this up to Canadians as well. For that, I subscribe by email now. This book looks very good. Thanks for participating in the Blogfest. I follow on GFC-great giveaway!